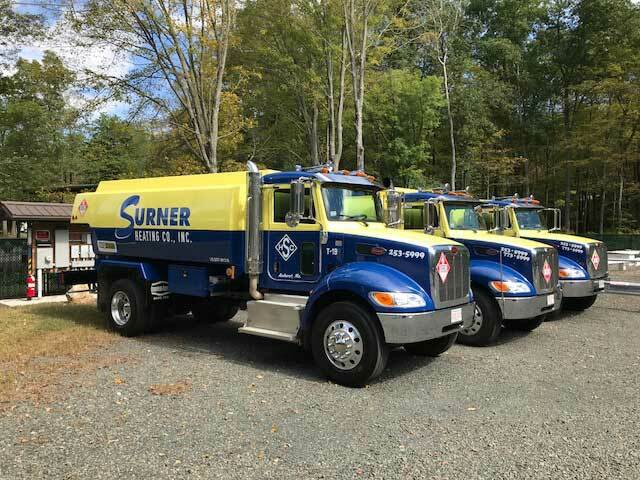 Choose Surner for all your commercial fuel requirements. Our local storage facilities and our fleet of delivery trucks ensure a ready supply of fuel to satisfy all your needs. Surner offers premium on-road (clear) and off-road (dyed) diesel fuels for use by haulers, farmers, contractors, trucking companies, excavators, service fleets, and anyone else needing diesel fuel. Whether you need fuel for permanent tanks at your own facilities or for skid tanks and equipment on the job site, we’re at your service. Our high-quality diesel fuels are weather-adjusted to ensure trouble-free operation of your equipment all year round. Call us when you need fuel, or we’ll set up a regular delivery schedule if that fits your operation better. With Surner, you get premium quality products and premium service at very competitive prices.